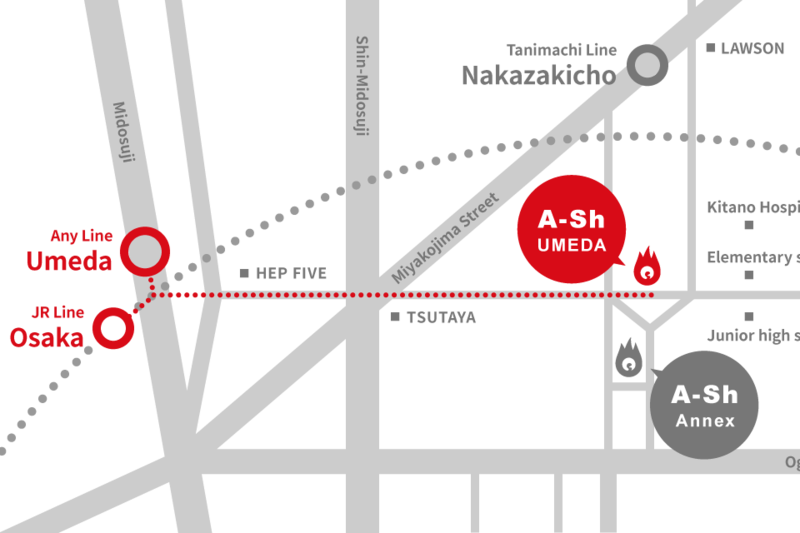 Walk straight along the street between Hep Five and Navio Hankyu until you come to a wide road called Shin-Midosuji, then walk towards Tsutaya, which you will be able to see on your right. Walk straight along the street that is between Tsutaya and the adjacent cigarette shop. Walk for a while until you see a brown building on your right (the YWCA College). Our dance studio reception is on the 3rd floor of the building just in front of the brown YWCA building. Go out Exit 2-A. 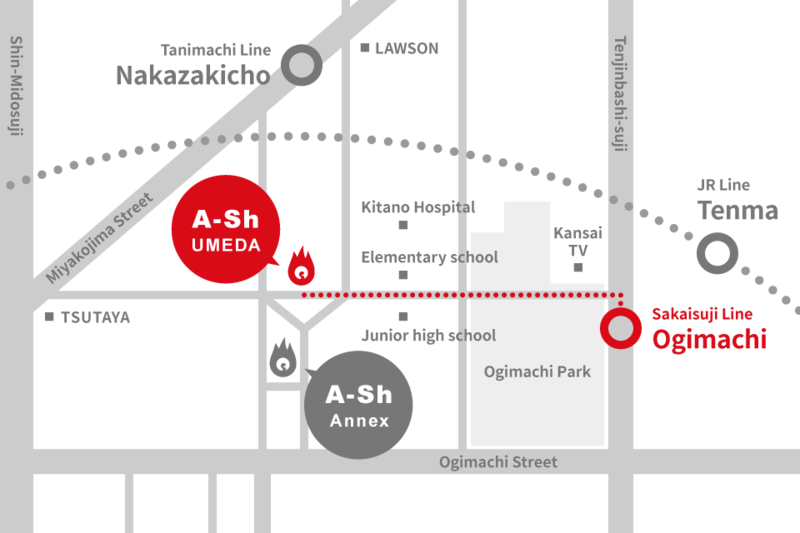 You will emerge in Ogimachi Park. 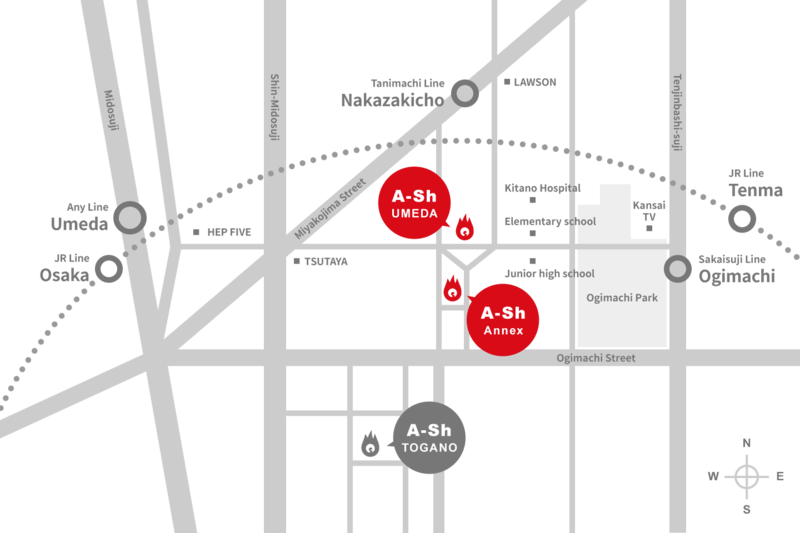 Walk straight along the path through the middle of the park in the direction of Umeda. Exit the park and go past two sets of traffic signals. At the second signal you will see a building to your right about 10 meters away. Our dance studio reception is on the 3rd floor of the building just in front of the brown YWCA College building. Walk to the main road called Tenjinbashi-suji. You will be able see the Kansai Television building. Walk towards it. Next to the Kansai Television building is a walkway through Ogimachi Park. Walk straight along this walkway through the park. Exit the park and go past two sets of traffic signals. At the second signal you will see a building to your right about 10 meters away. Our dance studio reception is on the 3rd floor of the building just in front of the brown YWCA College building. Go out through the No. 1 exit and turn left. Go along the Tengo Shotengai (Tengo Shopping Street) and then turn left at the first corner and then go straight. 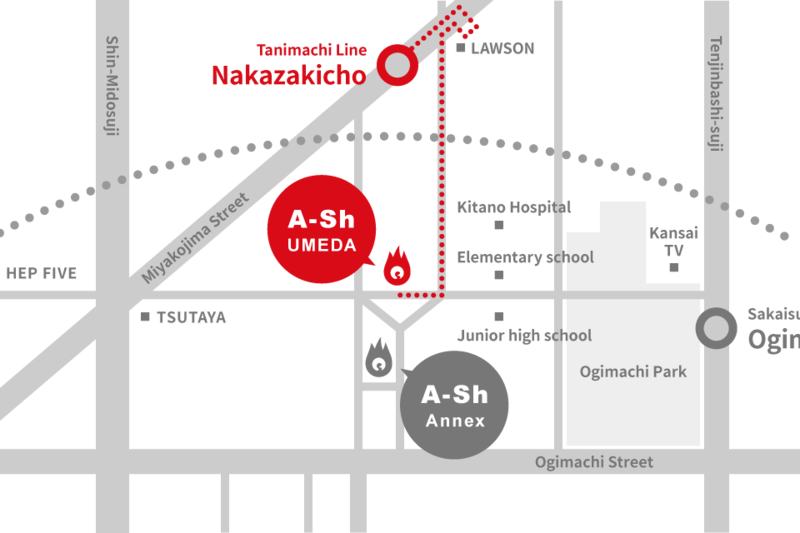 Go past the supermarket and Kitano Hospital and keep going until you see a brown building on your right up ahead (the YWCA College building). Turn right into the road before the YWCA. Our dance studio reception is on the 3rd floor of the building across from the YWCA building.